Harvey's soul-baring photographs pulse with a high spirit that is seemingly a national trait. Strong-willed yet poignant, Harvey's camera captures vivid and lively cities, and beautifully rich countryside. The photographs are matched with National Geographic staff writer Elizabeth Newhouse's historical overview, which discusses the country's architectural heritage, culture, and social conditions. 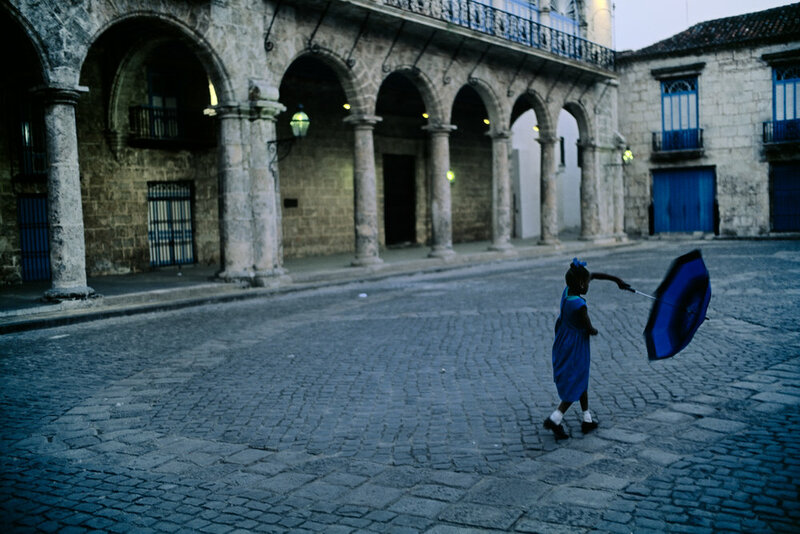 Together these add up to a sympathetic understanding of Cuba's contemporary way of life.